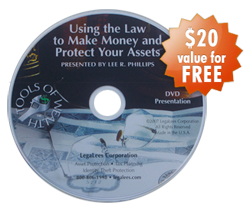 There is a current debate in the business world, if not the legal world, over the LLC vs corporation decision. Both the LLC (limited liability company) and the corporation give you a corporate shield, which gives you limited liability protection from the activities that occur in the company. The corporation vs LLC protection is basically the same, so your decision to form a corporation or an LLC shouldn’t hinge on the asset protection issue. Corporation versus LLC considerations must take into account the maintenance of the entity. Corporations have a relatively detailed list of things that need to be done in order to insure the courts will respect the corporate structure and liability shield. LLCs don’t have as many formalities that have to be followed. Corp versus LLC decisions based on maintenance requirements probably lean toward the LLC. If you are a professional (engineer, doctor, lawyer, CPA, etc., etc. ), you’ll have to use a professional entity. The professional corporation vs LLC issue is really a non issue. You have to declare that you are a professional entity whether you are using a corp or an LLC. Whether you are talking about a professional corporation (PC) or a professional LLC (PLLC), the entity will not give the professional any liability shielding from his or her malpractice acts. 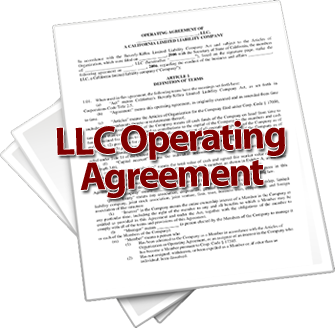 There are no benefits of LLC vs corporation liability shielding in a professional entity. The professional loses in both cases. However, a professional should either form a corporation or an LLC to protect against employees, slip and falls in the office, financial disasters, etc. There’s no malpractice protection, but either corporations vs LLC decision will protect against the other things that threaten the professional’s personal assets. Taxes are a central issue in forming an entity. If you choose to use a corporation, you can elect to have it taxed as a full corporation under Chapter C of the IRS Code (a C corp) or Subchapter S of the IRS Code (an S corp). However, LLC vs corporation tax decision isn’t really that difficult, because the LLC can be taxed as either a C corp or an S corp. In the LLC vs corporation taxes battle, the LLC may edge out as the winner. It can be taxed as under either Chapter C or Subchapter S of the code, and it can take on all the taxing characteristics of either corporation. Plus, an LLC can be taxed as a partnership, or sole proprietorship (disregarded entity). Therefore, the LLC vs corporation taxes decision probably comes down in favor of the LLC. Tax issues are usually not a legal question. They are an accounting question. What does your CPA think will be best for you? Overall, the LLC vs corporation decision probably leans in favor of an LLC.